Lick Observatory on Mt. Hamilton. UC Santa Cruz is the top-ranking university in the country for the quality of its research in astronomy and astrophysics, according to a new analysis of papers published in scientific journals and how often those papers are cited by other scientists. The analysis, performed by a top NASA scientist, used a combination of approaches to look at the impact of published work on the science of astronomy and astrophysics. Anne Kinney, former director of NASA's Astrophysics Division and currently director of the Solar System Exploration Division at NASA's Goddard Space Flight Center, said she undertook the study to help prospective graduate students evaluate departments that offer graduate degrees in astronomy. Kinney reported her findings in a paper, "The Science Impact of Astronomy Ph.D. Granting Departments in the United States," which is posted on the Astro-ph web site. "It's nice to get this kind of recognition, but this is more than just a trophy for the cabinet," said Bruce Margon, vice chancellor for research. "Competition for the best graduate students is fierce, and we compete against the very best institutions in the world. The graduate students we accept for admission to our astronomy program are typically also accepted at Harvard and Princeton, so it's important to be able to show that the quality and impact of our research is first-rate." Sandra Faber, University Professor and chair of the Department of Astronomy and Astrophysics, said she was delighted but not surprised by the study's findings. "It's wonderful to have us validated in this way, but we know our program is one of the top few in the nation," she said. "The challenge for us is to bring the perception more in line with the reality. We're known to be good, but most people don't think of us as the top institution." Kinney calculated an "impact index" for each university based on how often the astronomy publications of its faculty are cited by other researchers. When researchers publish a scientific paper, they cite previous papers by other authors that set the stage for their work. The average number of citations per paper is regarded by many as an objective measure of the scientific impact of individuals, departments, or institutions. One approach Kinney used in the study included astronomy and astrophysics publications by all authors at a given institution, regardless of whether they are affiliated with the department that grants astronomy degrees. By this measure, UCSC ranks first, followed by Princeton, Johns Hopkins, and Pennsylvania State Universities. At UCSC, this approach would include work by astrophysicists and cosmologists in the Department of Physics, planetary scientists in the Department of Earth and Planetary Sciences, solar physics researchers in the Department of Applied Math and Statistics, researchers developing new technology for astronomy in the Center for Adaptive Optics, and other researchers not affiliated with the Department of Astronomy and Astrophysics (or who did not list that affiliation on their published papers). Another approach focused only on the publications by faculty within the degree-granting department, which at UCSC is the Department of Astronomy and Astrophysics. By this measure, UCSC is second only to the California Institute of Technology (Caltech), with Princeton and Harvard Universities in third and fourth place. Kinney also looked at the total number of articles published in the 10-year period covered in the analysis (1993 through 2002). UCSC was one of only three universities that had both an impact index in the top quartile and more than 1,000 publications in a decade. The others are Princeton and Johns Hopkins. "These three universities stand out as hitting the trifecta of high department quality, high overall quality, and high volume of publications," said Stephen Thorsett, dean of physical and biological sciences and a professor of astronomy and astrophysics. 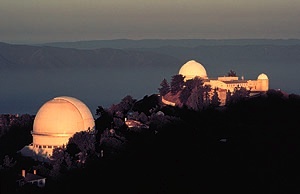 UCSC's astronomy program benefits from its close ties to the UC Observatories/Lick Observatory (UCO/Lick), which has its headquarters at UCSC. "This ranking reflects not only the excellence of our academic program, but also on the world-class laboratories for astronomical instrumentation we have here that have provided the tools for carrying out groundbreaking research," said Michael Bolte, professor of astronomy and astrophysics and director of UCO/Lick. Kinney noted that the publications included in her analysis did not account for all of an institution's publications in the field of astronomy, because she only looked at a selected group of journals. "The way that I collected the publications, by pre-selecting for astronomy/astrophysics journals, means that it is very much an apples to apples comparison," she said. "When you look at a uniform set of journals, you remove all differences related to the journals and really do look at the impact of the articles themselves." But that also means the figures for the total number of publications from each institution do not represent a complete count of astronomy-related papers. For example, astronomy papers published in general science journals such as Science and Nature were not included because there is no easy way to extract them from the databases. Kinney said she suspects that including those papers would only accentuate the differences between the top-ranking and lower-ranking institutions.